43 LE SEUL PARC D’ATTRACTION INTÉRIEUR À L’EST DU CANADA ! 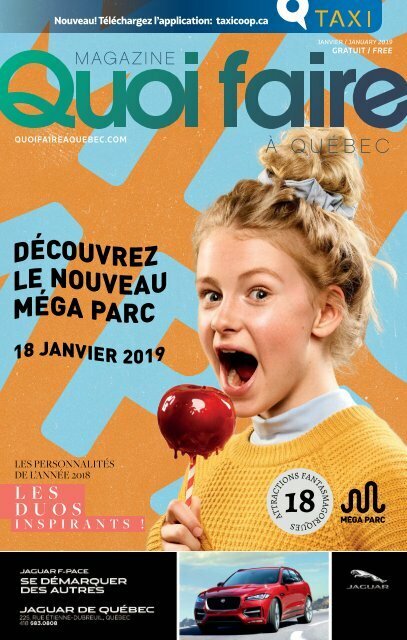 Finally...The Méga Parc of Galeries de la Capitale will officially open its doors to the public on Friday, January 18 at 10 am. The unveiling of this major project will mark the history of the Galeries de la Capitale, which promises you a totally surreal experience, something never seen before in Canada! Gradual opening to the public The big day of the unveiling will also be preceded by a gradual opening period open to the general public on January 16 and 17. This event is the perfect opportunity to fuel up with pleasure and discover the new Méga Park before anyone else! Curious people who want to try this new experience will be able to get one of the special passes offering four hours of turbofun. On sale at $25 + taxes at the Galeries de la Capitale Customer Service Department, passes are available in limited quantities and are valid for one of the following three time slots: Wednesday, January 16, from 12pm to 4pm Wednesday, January 16, from 5pm to 9pm Thursday, January 17, from 12pm to 4pm THE ultimate indoor entertainment destination A real decibel generator, the Méga Parc of Galeries de la Capitale will present a totally surrealist environment straight out of the industrial period and the Steampunk universe. Eighteen attractions will make up the Mega Park’s new entertainment offer, including fourteen new attractions and four restored rides: the dazzling G Force, the majestic Musical Ride, the unmissable Condor and the legendary roller coaster, Electro.